We carry out leadworks either as independent contractors or in conjunction with our tiling and slating works. 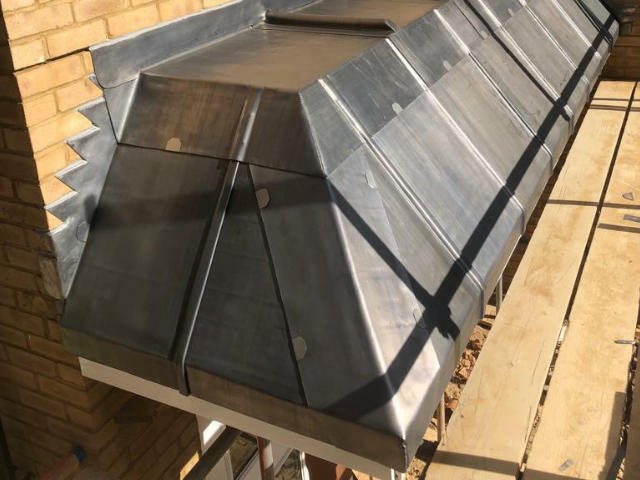 From large flat roofs, gullies, bays and dormers etc to small apron flashings. All works are carried out to Lead Development Association and Lead Sheet Association recommendations. We also install zinc roofs.